Srila Narayana Maharaja : “We have been discussing the conversation between Sri Caitanya Mahaprabhu and Srila Raya Ramananda. In this regard I want to explain the subject of varnasrama *[see endnote 1], and especially the difference between daiva-varnasrama dharma (the transcendental system of four social orders and four spiritual orders) and adaiva-varnasrama (the mundane system – by birth). If for some reasons someone is divorcing, this is not good. If you want to establish a background or platform for the development of your bhakti, you will have to accept daiva-varnasrama. Husband and wife should stay together – not divorcing daily. In western countries divorce has become a fashion, and in India this idea is also coming – but not more than five percent. Those who are my age have seen that there was no divorce in India in the previous generation; it is being introduced in the new generation, and things are now changing very rapidly. What is the duty of one Vaisnava to another? We are god-brothers, so we should not quarrel. There were many reasons for potential friction between the Pandavas – Bhima, Yudhisthira, and the others – but they never fought. There may have been some reason for Rama, Bharata, Laksmana and Satrugna to quarrel, but They also never did so. We are god-brothers, which means that we are more than brothers – and yet we fight with each other. So where is our varnasrama-dharma? I request that you do not try to change your husbands or and wives for any small reason. If you do, your children will become like orphans. [“Abandon all varieties of religion and just surrender unto Me. I shall deliver you from all sinful reactions. Do not fear. This type of sarangati is the doorway to bhakti, but Arjuna’s surrender was based on fear. Therefore Krsna told him, “Do not fear. I will excuse you from the reactions to killing in this war.” It is this worldly saranagati that Sri Caitanya Mahaprabhu rejected as the goal of life. He has not rejected the saranagati which is the doorway to enter the realm of bhakti. [Srila Narayana Maharaja:] That is transcendental saranagati. It has not been written anywhere in the scriptures that we should reject transcendental saranangati. It has been told in all scriptures that we should accept it. Without it, we cannot advance. Depending on the grade of one’s saranagati, one’s bhakti develops. In this world there are three kinds of people. One kind consists of those who are ignorant. They don’t know right or wrong, so they can easily give up all kinds of dharma, such as varnasrama-dharma and sva-dharma (devotional service). The second kind is the atheist. Atheists, like Buddhists, don’t believe in the Vedic scriptures and don’t follow regulative principles. The third kind is described as expressed in the verse above: tavat karmani – varnasrama-dharma may only be given up on the condition that real detachment from the world has come. Detachment comes after tasting the fruits of the world, seeing that nobody is happy, and with that, seeing that all the things of this world are temporary. King Bhartrihari was greatly attracted to his wife, but she had no such attraction for him. Rather, she was attracted to her husband’s commander-in-chief, who was also extremely handsome. Therefore, a few days after receiving the excellent necklace, she gave it to the commander-in-chief, desiring to please him. Seeing the necklace, the king became distressed and asked her from where she had gotten it. Frightened, she did not reply. The incensed king then said, “If you don’t tell me the truth, I will cut off your head.” The prostitute then revealed the truth of the matter to the king, who left her and took the necklace to the commander-in chief. King Bhartrihari asked his commander-in-chief, “Where did you get this? If you tell me the truth I will not harm you, but if you try to conceal it from me I will have your head removed.” The commander-in-chief revealed the truth to him, and at that moment the king realized that there is no true love in this world. He at once made up his mind to give up all his worldly attachments. He left his palace, his kingdom, and his opulent attire, and he became a very famous renunciant and spiritualist. If that kind of detachment has come, then one can give up one’s worldly duties and become a sannyasi. A qualified devotee will come and at that time. When there is actual detachment, that person will hear hari-katha from the devotee, and by that, sraddha (faith) in krsna-bhakti will come. He will then be qualified to think, “If I simply engage in bhakti, devotion to Lord Krsna, everything is complete and my life will be successful.” This is the right way to give up varnasrama-dharma. [Srila Narayana Gosvami Maharaja:] They don’t know what the result of giving it up will be, so they can give it up. [Question:] Whether they know or don’t know, will sin come to them? Those offenders will go to hell, and after a long time they may attain brahmapad, meaning impersonal liberation in the brahmajyoti. Their mood and activity like a sin, because it is against bhakti. They will not be able to attain bhakti in their entire life. Those who live in Vrndavana generally do not criticize the Bhagavatam, Lord Krsna, or the Vaisnavas. Therefore, Krsna will arrange that elevated devotees will give them association. What happens by that association? Srila Visvanatha Cakravarti Thakura has explained that these exalted devotees give them the desire to serve Krsna in very small quantities – a little at a time. 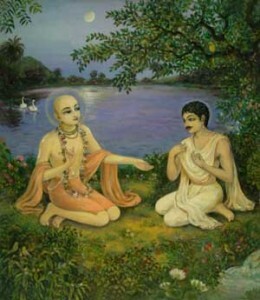 Sri Caitanya Mahaprabhu rejected this proposal of Srila Raya Ramananda as well, because He does not want any kind of jnana to be mixed with bhakti. There are three types of jnana (knowledge): tad-padartha-jnana, tvam-padartha-jnana, and jiva-brahma-aikya-jnana. *[See endnote 3] Bhakti is fully independent. Even a man who is lusty and a great sinner is qualified for bhakti – even at that time. Ajamila was a great sinner. He was a drunkard, a cheater, a prostitute hunter and a rogue; still, bhakti came to him. The holy name of Krsna and His manifestations is so powerful. Valmiki had killed so many people in the first stage of his life, but he also attained bhakti by chanting the holy name and by good association. 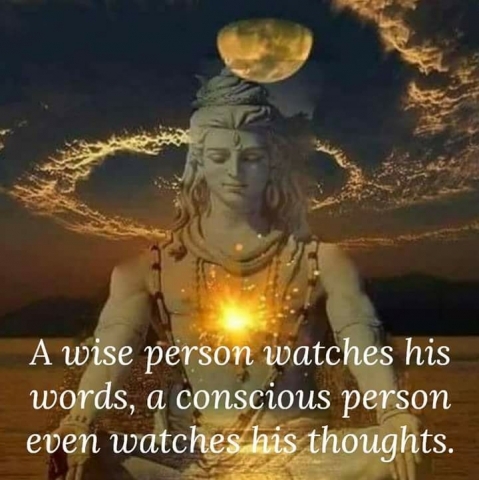 The import of the verse is this: Be situated where you are – in any varna or asrama – and go to a place where hari-katha is being spoken and heard. Offer obeisances to the person who is telling hari-katha, to the person who is arranging the hari-katha, and to the place where hari-katha is taking place, by your body, mind and speech. Think in this way: “Very good hari-katha. This speaker is a very good speaker.” In this way, you will attain sadhana-bhakti, then bhava-bhakti, and finally prema-bhakti. If you can somehow attain greed to serve Krsna in the mood of a ragatmika-bhakta (a pure devotee established in his relationship with Krsna in dasya (servitorship), sakya (friendship), vatsalya (parental love), or madhurya (amorous love), you must purchase that greed at once. It cannot be purchased by millions of births of sukriti (spiritual pious activities). By sukriti you will attain the association of the pure devotee and by that association you will have bhakti – general vaidhi-bhatki. For raganuga-bhakti, however, this alone will not do. Mahaprabhu said, “Yes, continue,” and Raya Ramananda then told Him about dasya-rasa (servitude). Mahaprabhu was satisfied by hearing that, but not fully satisfied; and that is why He again told him to speak further. Then Raya Ramananda told the Lord about sakhya (friendship), and Sri Caitanya Mahaprabhu again said, “Very good, but go on,” and therefore Raya Ramananda told Him about vatsalya (parental love). Sri Caitanya Mahaprabhu now said, “Oh, very good, very good. Very sweet.” Vatsalysa-rasa has all the qualities of santa (neutral relationship, thinking, “God is great”), dasya, and sakhya – and one more. Santa-rasa embodies the quality of one-pointed faith in Lord Krsna (nistha); dasya-rasa embodies service to Krsna and also includes the quality contained in santa-rasa; sakhya-rasa is characterized by its being devoid of the hesitation caused by the mood of awe and reverence, and it also contains the qualities of santa- and dasa-rasa; and the mood of a parent includes the three preceding moods plus its own mood of maintaining the Lord. Higher still is gopi-bhava, which has the four qualities present in the other rasas and one more. Lord Krsna’s associates in madhurya-rasa (the mellow of amorous love) serve Him by all the limbs of their body. Not even Yasoda-gopi can do this. Only the gopis who are in parakiya-bhava – the vraja-ramanis – can do this. 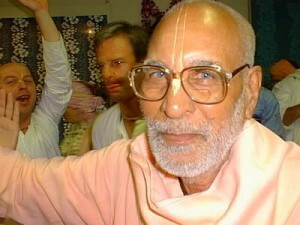 Mahaprabhu now told Raya Ramananda to speak still further. Raya Ramananda replied, “No one in this world has ever asked for more than this before.” He then discussed the exalted nature of Srimati Radhika and explained how Her moods are the highest. Srila Prabhupada Bhaktisiddhanta Sarasvati Thakura has told us that in this world there are very few qualified persons, and therefore this topic should not be discussed openly. If one has some real transcendental greed and also realization, only then can he discuss this – and only with other qualified and like-minded persons. For example, Sri Caitanya Mahaprabhu was relishing these topics with Raya Ramananda and Svarupa Damodara, and sometimes with Sikhi Mahiti and Madhavi-devi. This lamentation of Srimati Radharani is very pathetic and most elevated, and it is found in no other scriptures in the entire world – or even in the heavenly planetary system. It is only found in Srimad-Bhagavatam. If Srimad-Bhagavatam is present with us, nothing is lost; but without Srimad-Bhagavatam, everything is lost. [*Endnote 1: [Srila Narayana Maharaja:] I want that we follow varnasrama-dharma. 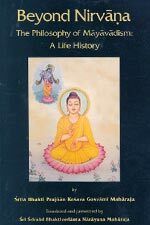 Varnasrama dharma is of two kinds: daiva-varnasrama and smarta (adaiva)-varnasrama. We reject smarta, but we follow daiva-varnasrama – especially as established by Srila Sanatana Gosvami in his Hari-bhakti-vilasa. Srila Bhaktisiddhanta Sarasvati Thakura Prabhupada also established it, as did our Gurudeva Srila Bhaktiprajnana Kesava Maharaja and Srila Bhaktivedanta Swami Maharaja. I don’t know the difference between the first and second one. I thought we are supposed to be trying to get out of varnasrama-dharma. [Srila Narayana Gosvami Maharaja:] All brahmacaris (celibate students), grhasthas (householders), vanaprasthas (renounced householders) and sannyasis (renunciates) are within varnasrama. The asramas are brahmacari, grhastha, vanaprastha and sannyasa. We are all naturally part of varnasrama, and we should therefore try to accept and very strongly follow its principles. Those who are married should be ideal grhasthas, following the instructions in Sri Hari-bhakti-vilasa. It is not that one may have two, three, four, or five marriages. Be satisfied with one wife or husband, and don’t divorce. Remain together for your entire life Then afterwards, in old age, if you have life – if you have inspiration to practice bhakti and steadiness in the bhakti process – give up all entanglements and become absorbed in bhajana. [Devotee:] Isn’t it also that the varnas (occupational duties), which include ksatriya, vaisya, brahmana, and sudra also part of varnasrama dharma? [Srila Narayana Gosvami Maharaja:] This is not daiva-varnasrama. Any sudra, any person who eats cow meat and other forbidden things, any Mohammedan, Christian, or Buddhist, can come and follow daiva-varnasrama-dharma. At first, in the Sankara-sampradaya and even in the Ramanuja and Madhava sampradayas, only a born-brahmana could be given sannyasa. But Srila Prabhupada Bhaktisiddhanta Sarasvati Thakura introduced the understanding, and also the practice, that anyone can be given sannyasa – not ladies, but all males can – whether they are sudras, Mohammedans, outcasts, Christians, or persons of any other religious faith, position, cultural or family background. They can all take sannyasa. He has minute independence; therefore he is by nature the eternal servant of the supreme Absolute Truth, Sri Krsna. He also possesses eternal separate existence. In other words he is both independent and dependent. On account of being a product of the tatastha-sakti of Sri Krsna, the jiva’s relationship with Sri Krsna is one of inconceivable, simultaneous oneness and difference (acintya-bheda-abheda). Apart from this, because he is a portion of the Lord and because the tendency to serve the Lord is inherent in his nature, the jiva’s relationship with Sri Krsna is that of the eternal servant and the served. This type of knowledge is called tvam-padartha-jnana. The word jnana, which is used in the verse under discussion, refers only to this knowledge of the oneness of the jivas and Brahman. This knowledge is called nirvisesa-jnana, knowledge of non-distinction, or impersonalism. Nirvisesa-jnana is opposed to bhakti. But the other two forms of knowledge mentioned before – tad-padartha-jnana and tvam-padartha-jnana – are not opposed to bhakti. When one adopts the path of bhakti, these two types of knowledge are essential. But upon entering the path of bhakti, devotion mixed with empiric speculative knowledge (jnana-misrabhakti) is labeled as external. This type of knowledge must be given up.